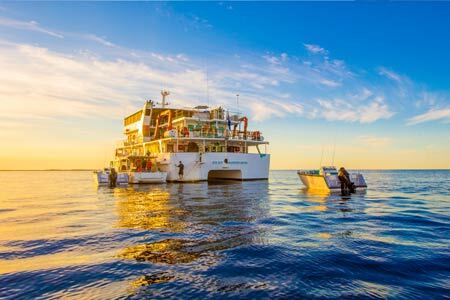 Our main vessels the Eco Abrolhos, is one of the largest vessels working out of Geraldton. 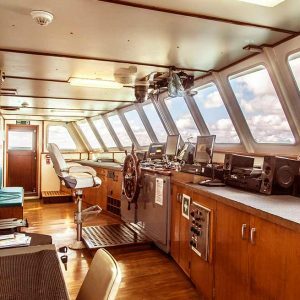 At 35 meters she can accommodate 32 passengers in twin share cabins with en-suites and has a daily capacity of 140 passengers and can work up to 200 miles offshore. 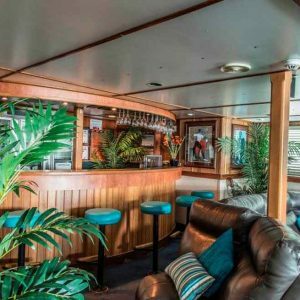 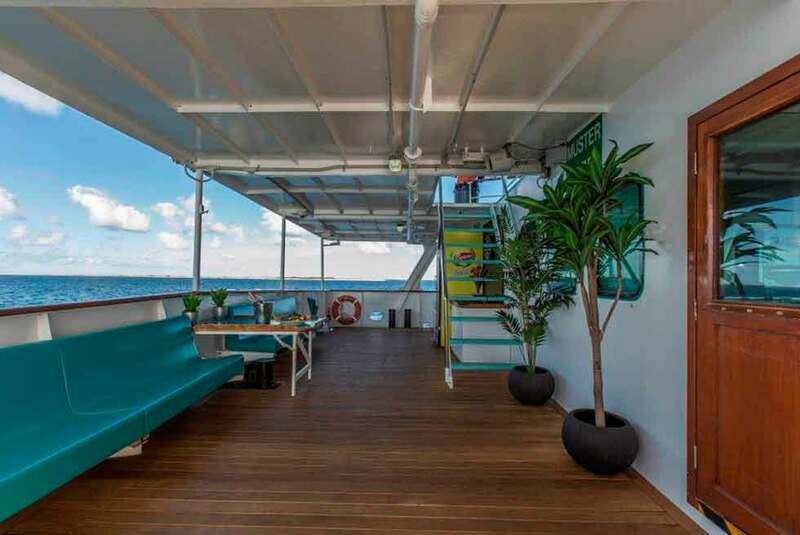 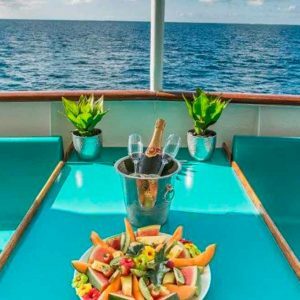 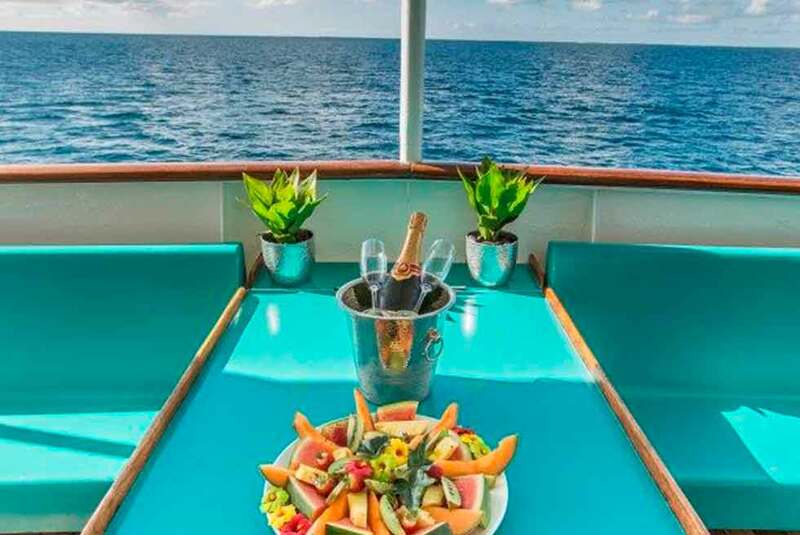 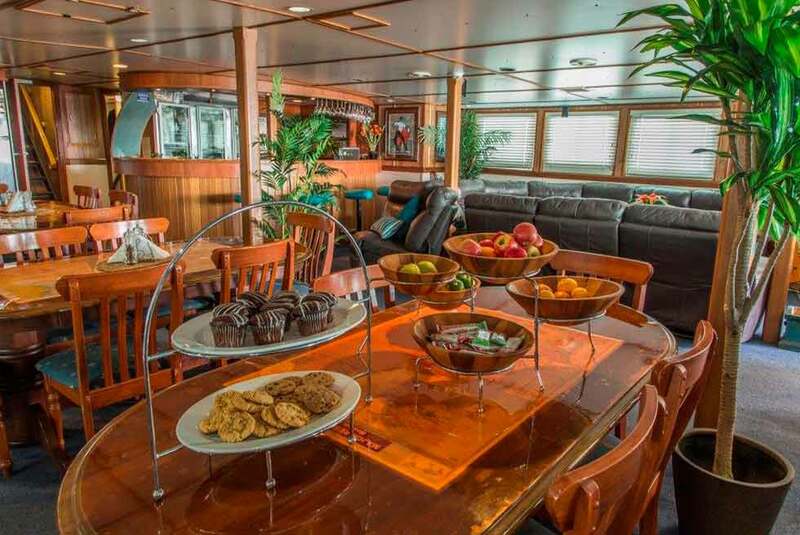 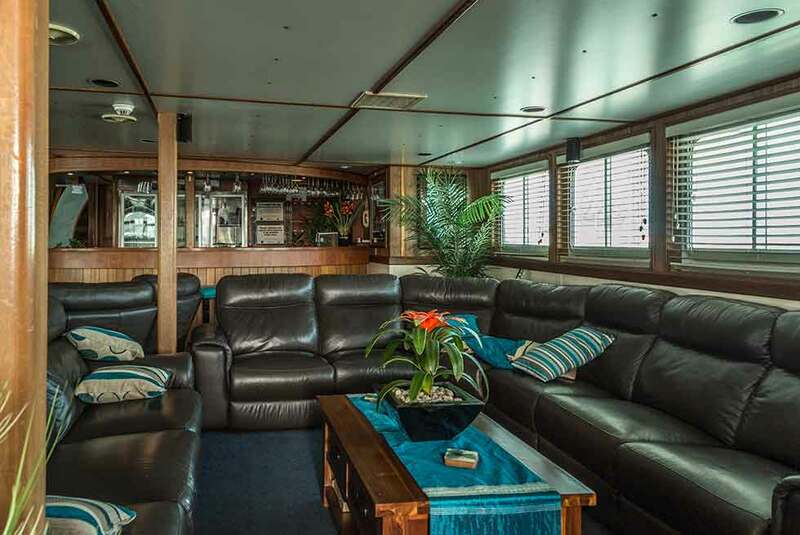 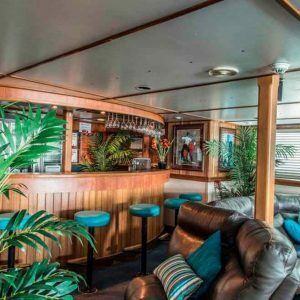 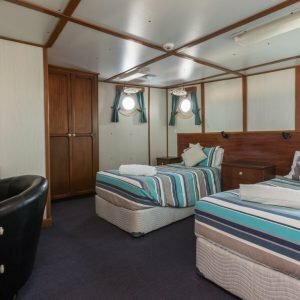 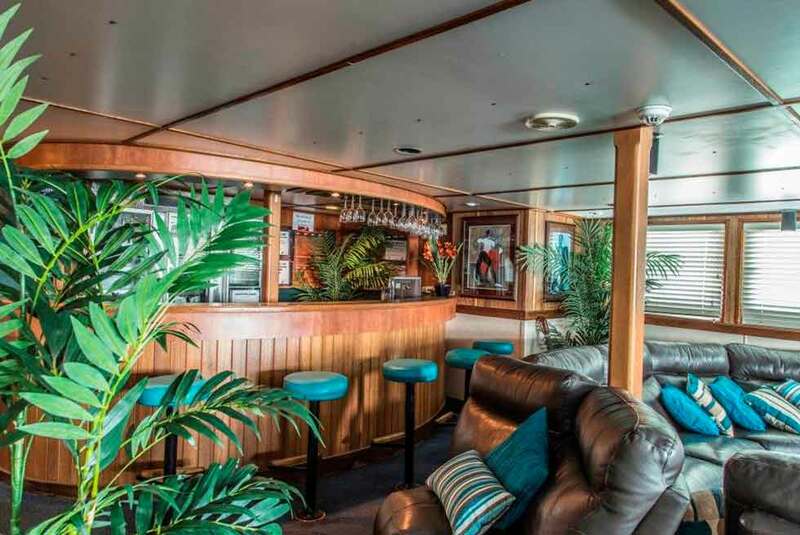 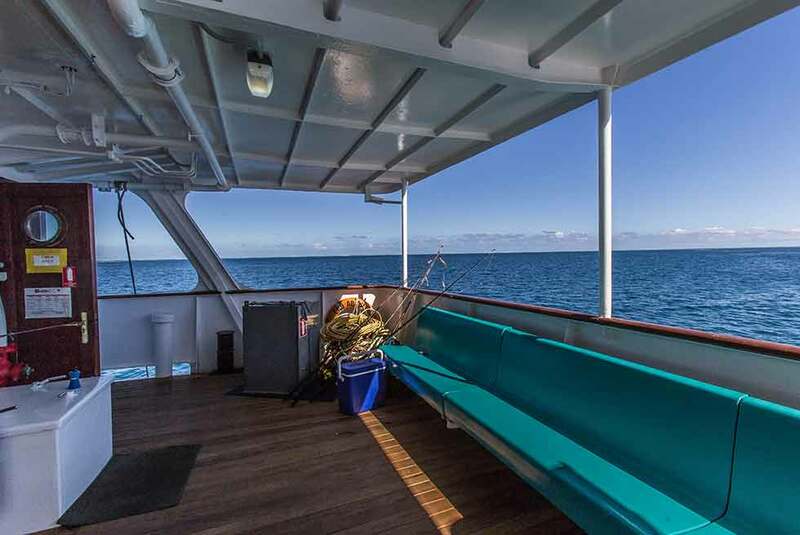 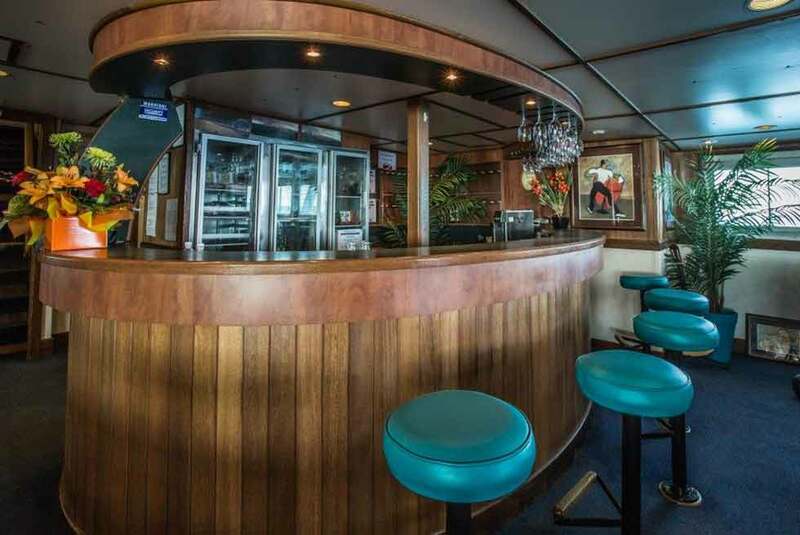 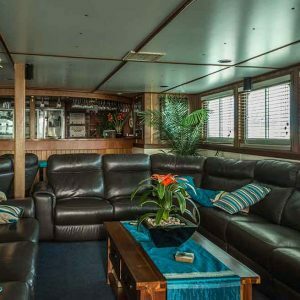 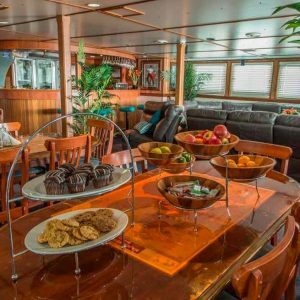 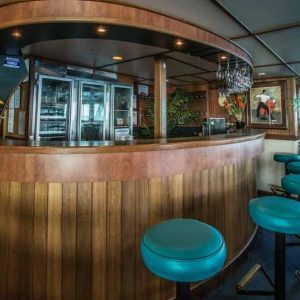 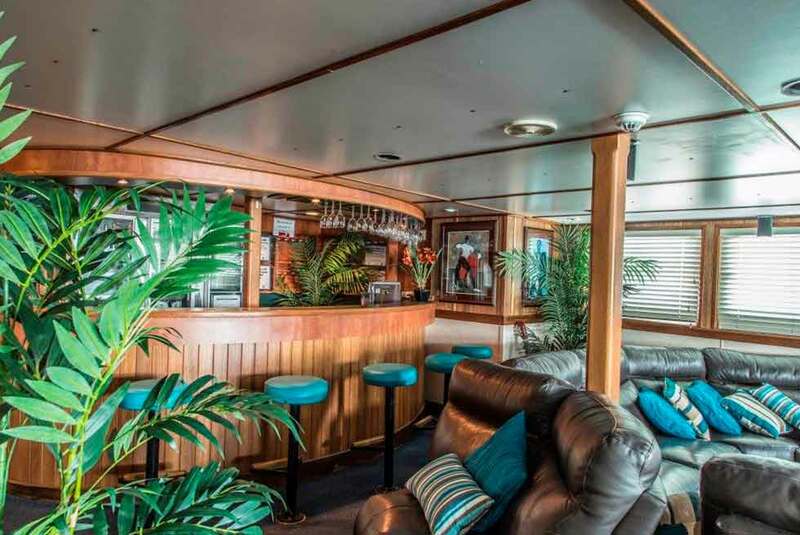 She has just completed a major re-fit to the tune of $1.7M with the engines and Gensets being replaced and all entertainment areas upgraded to provide an eminently stable reliable and comfortable platform to enjoy the wonders of the Abrolhos Islands. 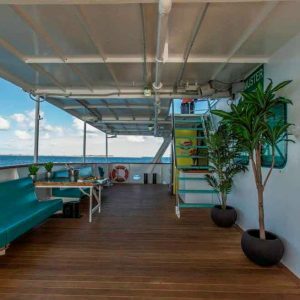 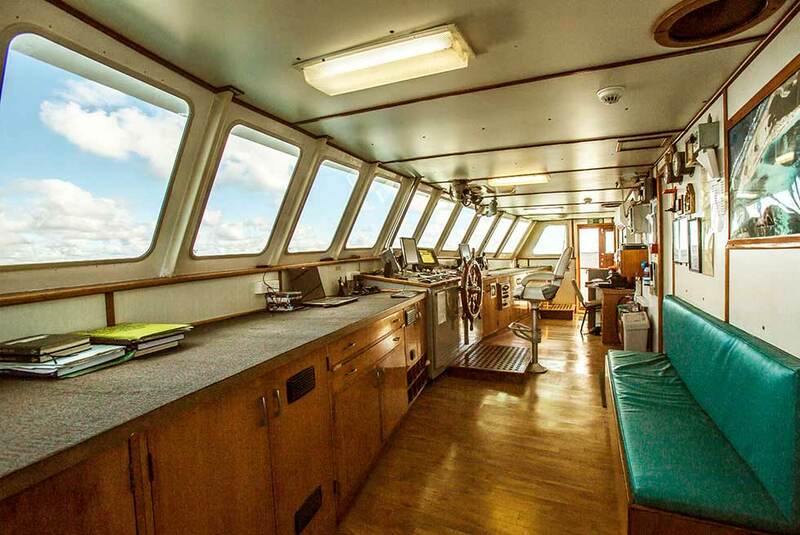 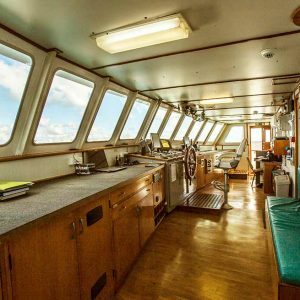 The Eco Abrolhos is a multi-hull vessel supporting four levels of operating decks. 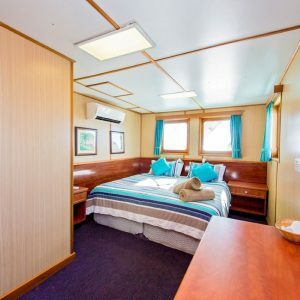 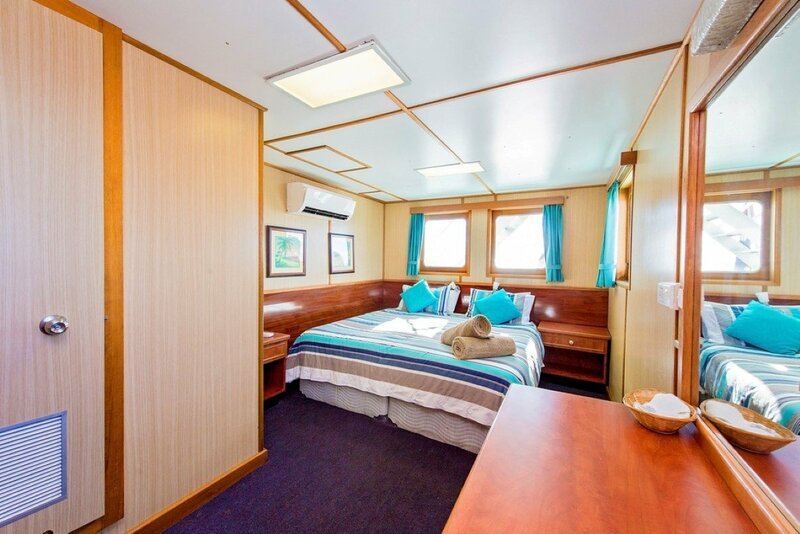 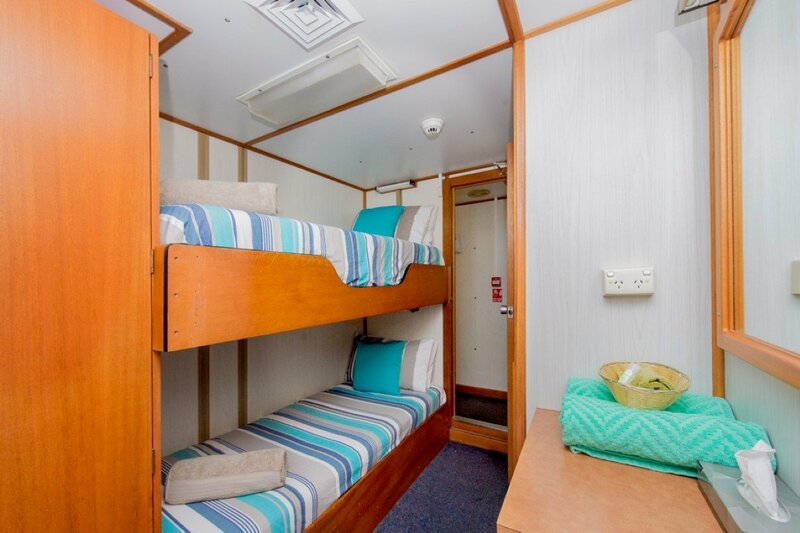 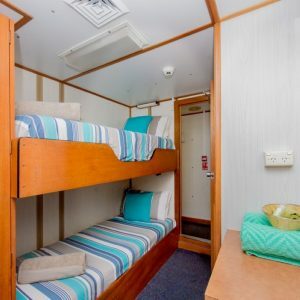 Within each of the catamaran’s hulls is a Laundry Room, an Engine Room, Crews quarters and 3 cabins containing twin bunks for passenger accommodation. 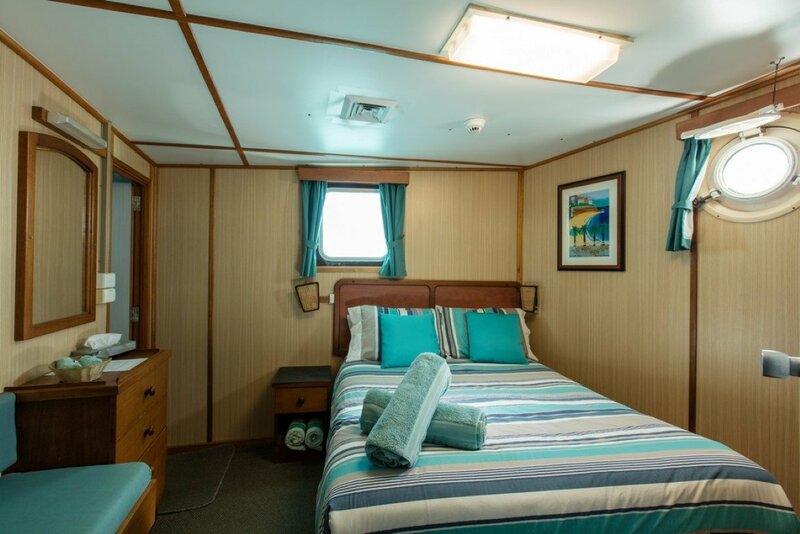 Storage for fuel, fresh water, waste water and sundry items is catered for in each hull. 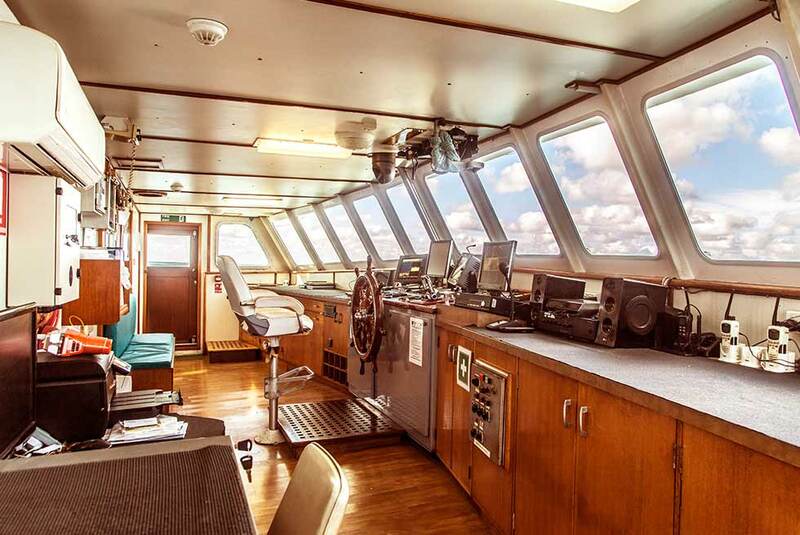 The engine rooms also house the Desalination Plant as well as the Power Generating and the (Marpol compliant) Waste Water Management systems which ensure that the vessel is self-contained. 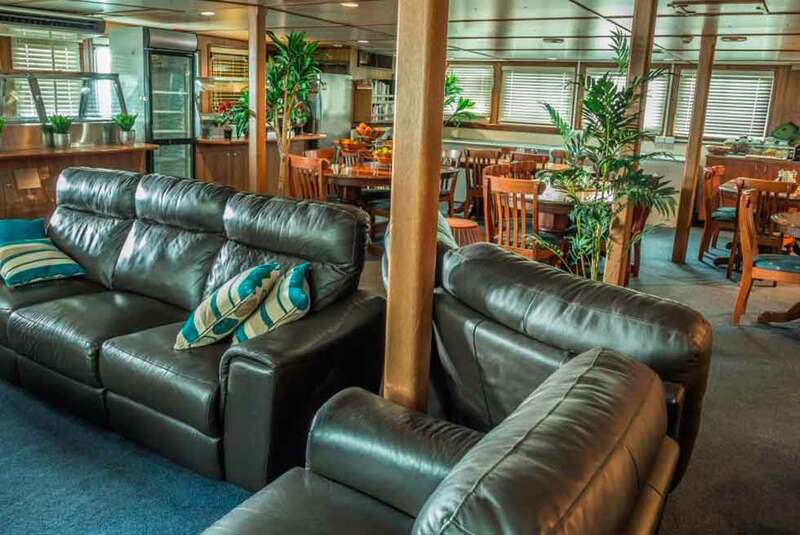 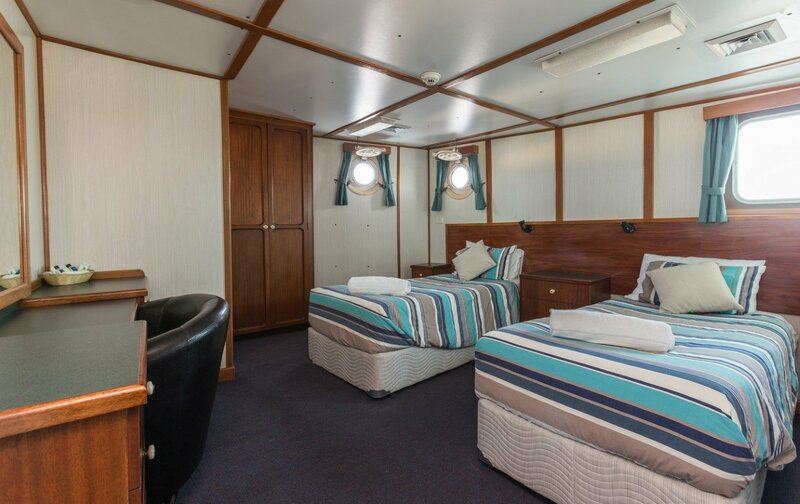 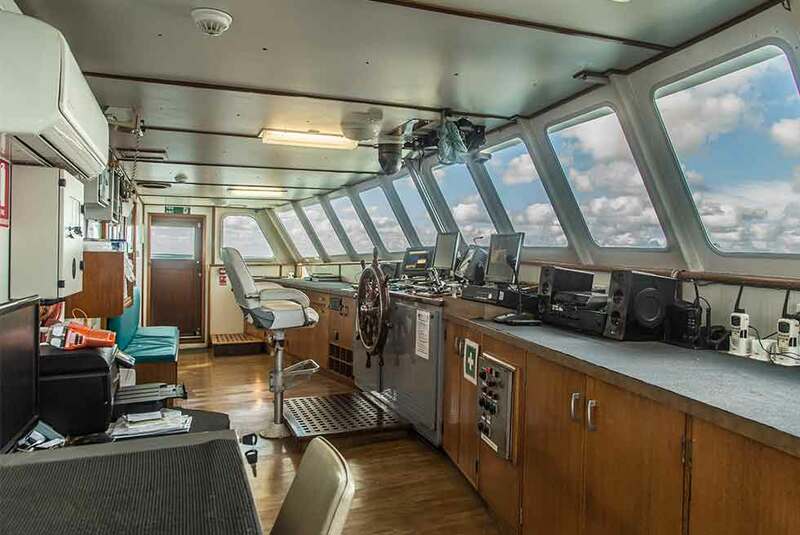 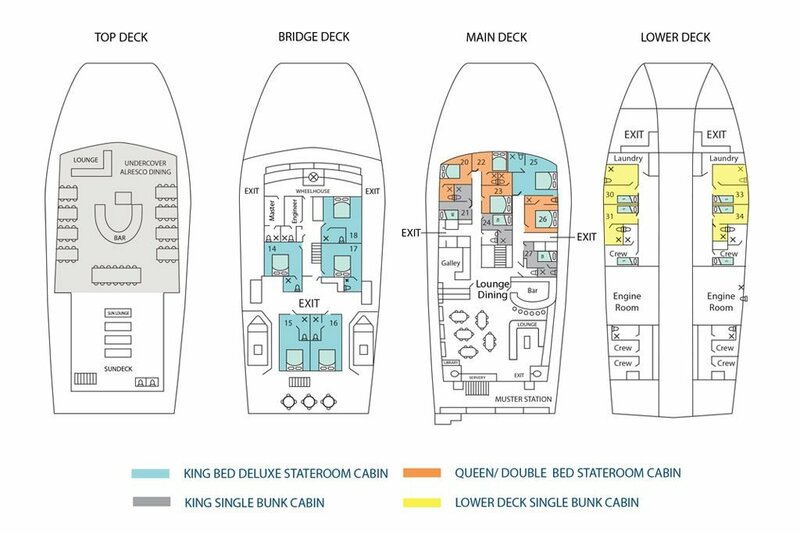 All accommodation areas, as well as other internal areas in the vessel, are fully air conditioned with a range of separate units. 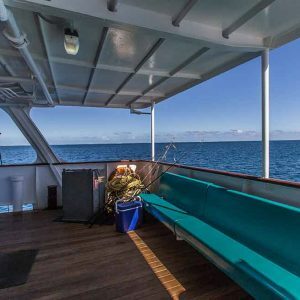 We also run four 4.5 metre tenders with 3o HP Yamahas that live on the Eco Abrolhos and are launched via cranes when we are at anchor. 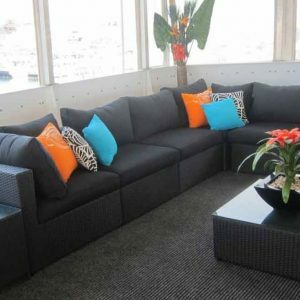 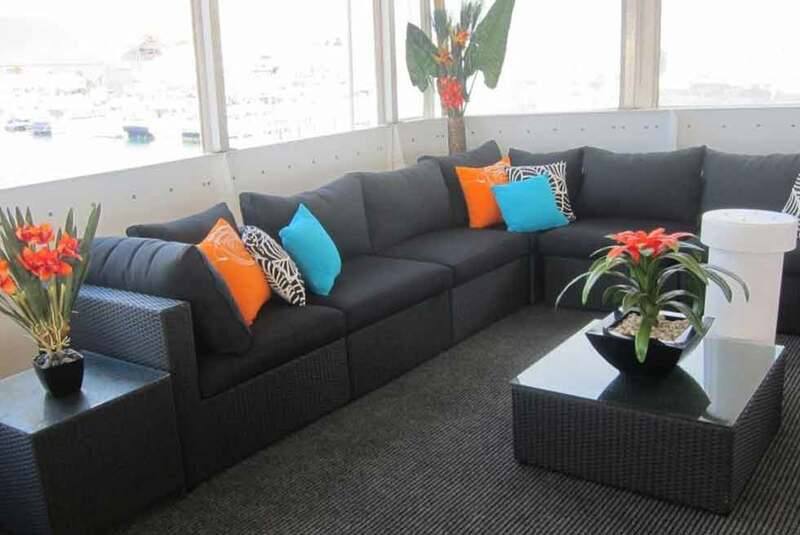 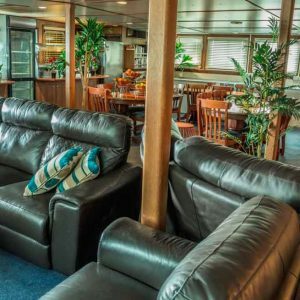 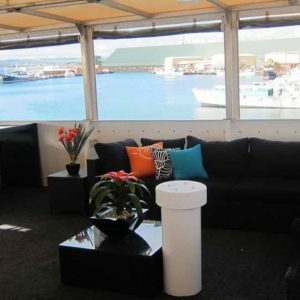 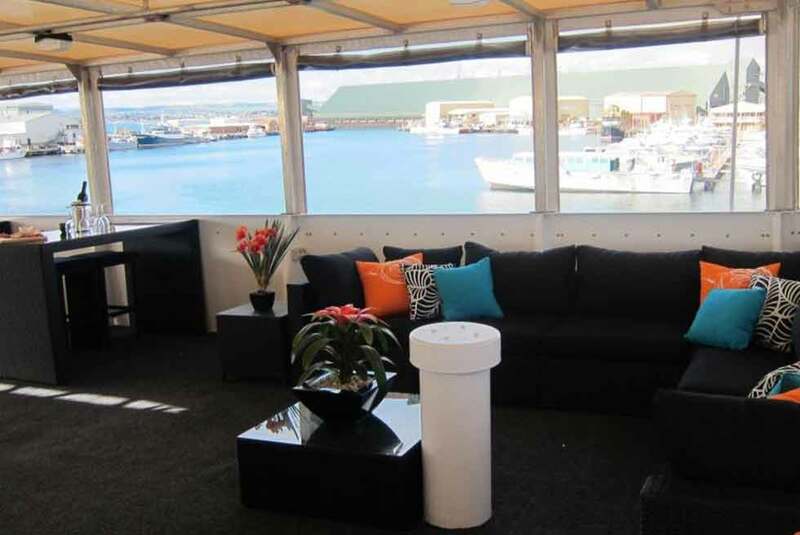 They allow us to easily transport guests to activities and act as tenders for the big boat. 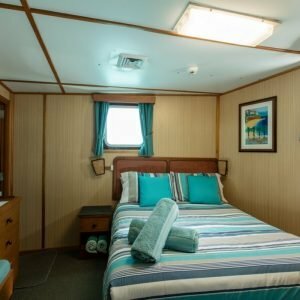 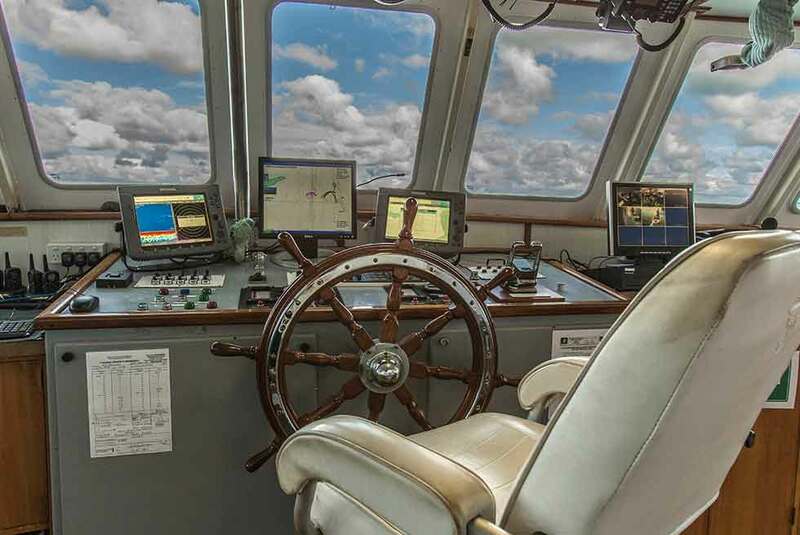 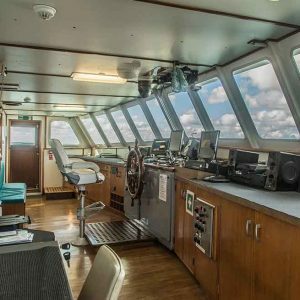 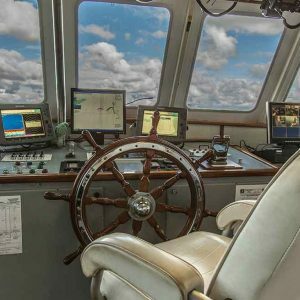 Further details on vessel specifications and operating procedures are contained in a supplementary document (Vessel Specifications) which is available from Eco Abrolhos Accommodation Pty Ltd on request.